The Trojan Times recently saw its first print edition since 2010. Editor-in-chief, Tori Martin, led the charge, working hard with Trojan Times advisor Dr. Justin Blessinger and The Madison Daily Leader to create more exposure for the paper by reestablishing the printed publication. It was eight years ago this December that The Trojan Times evolved into a solely online publication. 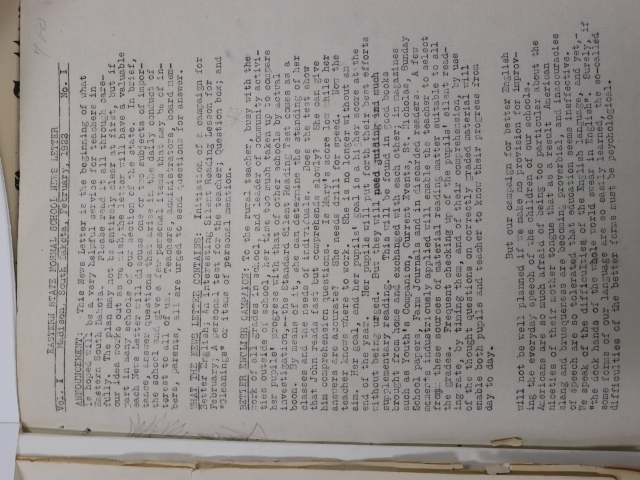 In fact, says Dr. Blessinger, it was one of the main reasons he was brought on as the advisor. 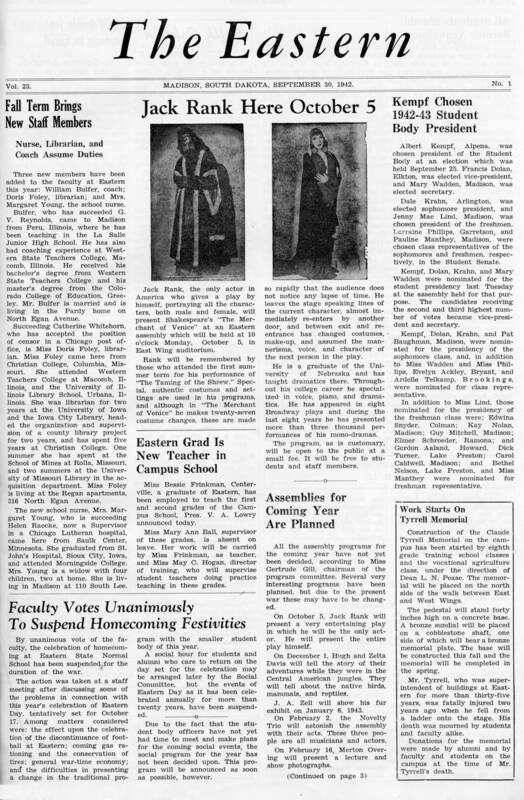 “The desire of the university was clear that the paper be moved online, and they looked for a new advisor with that specifically in mind.” With such a consistent emphasis on technology here at DSU, it only made sense—DSU’s very ownership of dsu.edu is inherently a testament to the university’s precedency online considering how many other schools might have claimed the site name if Dakota State University had not. 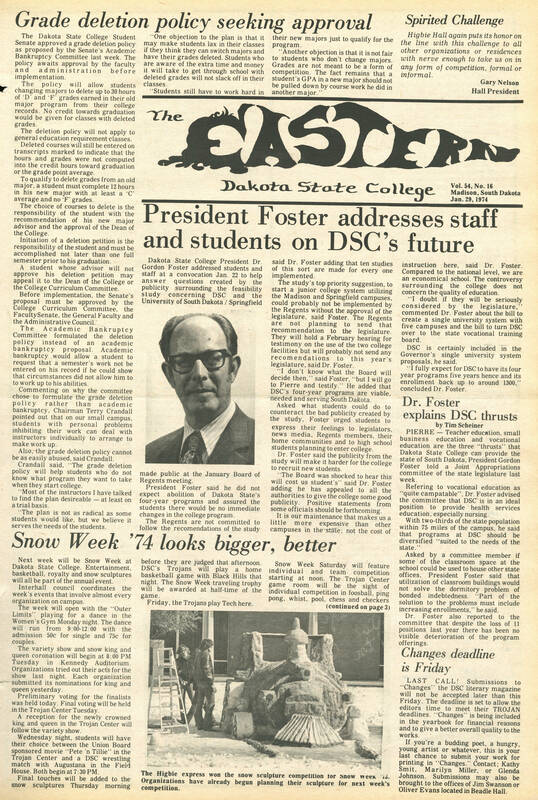 However, as enrollment was quite flat until about eight or nine years ago, it was difficult to start the paper’s transition to the internet until DSU had already gained some national momentum technologically and enrollment began increasing. 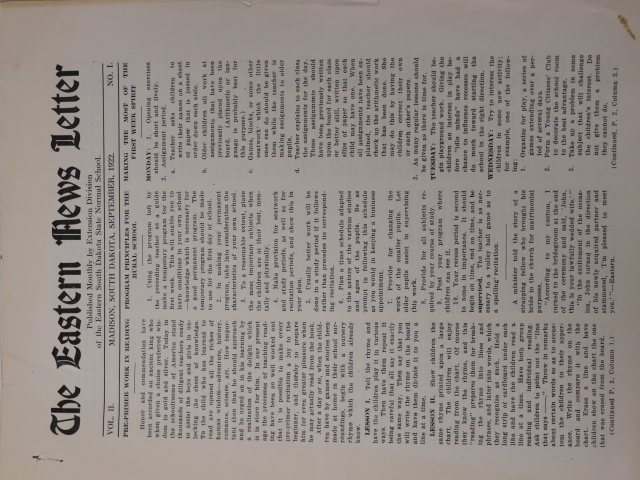 Though there was a definite need for The Trojan Times to have an online presence, once the printed editions were phased out, it was challenging to reach the same number of readers. “People don’t see it on campus, and that’s a loss,” said Blessinger. The best-case-scenario was that both would coexist, but it simply wasn’t feasible for there to be both an online and a print edition until recently. Because print editions are noticeably more expensive per issue than online articles, budgeting for both was difficult. Funding for the paper comes directly from the general activities fund and student fees, meaning that the finances for this year’s print editions and corresponding editing software were able to be funded in part by the gradual increase in enrollment here at DSU. 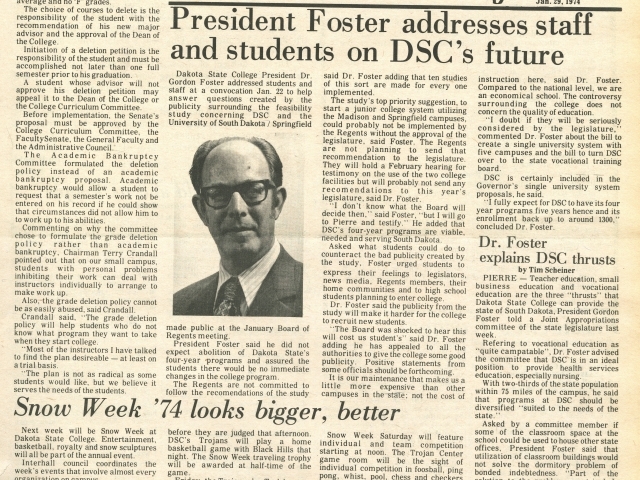 This academic year, the time was right: Martin and Blessinger have worked with the university’s budgeting to bring back some of the physical glory of DSU’s paper. In fact, this university’s print newspaper dates back further than South Dakota’s very statehood. 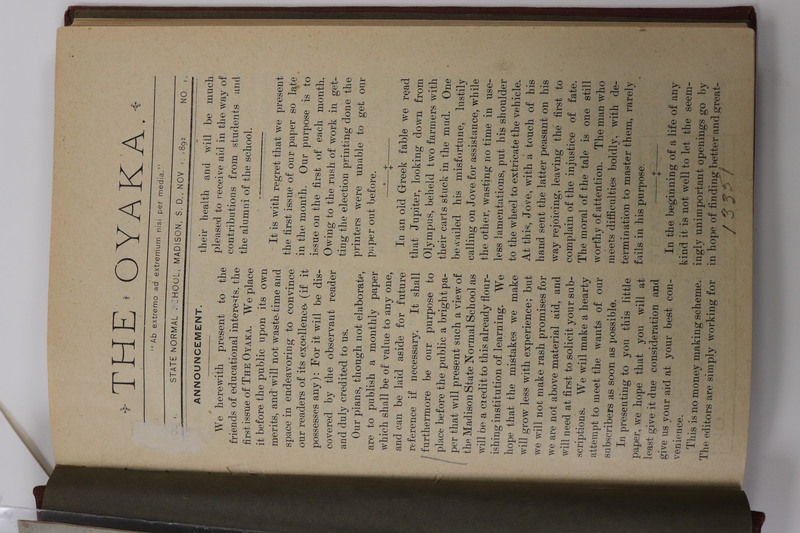 First printed in December of 1891, The Normal Topic was the very first iteration of what we now know as The Trojan Times. Founded only ten years prior in 1881, DSU was called Dakota Normal School at the time, and it almost entirely served as a college for teachers. 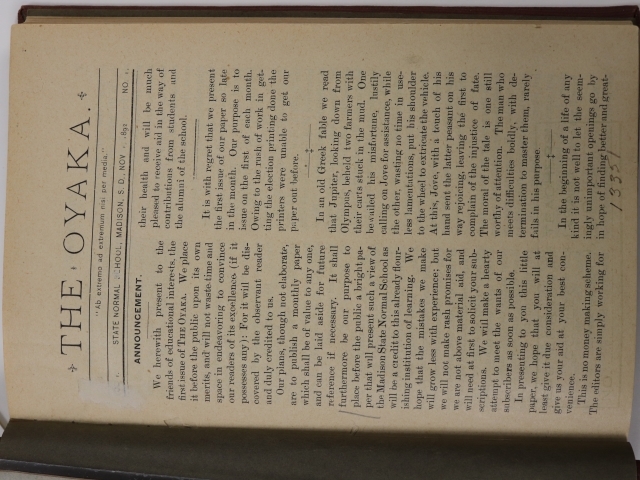 Soon after, in November 1892, the paper became The Oyaka, the title deriving from the Lakota word for “letter.” Published around the first of each month, The Oyaka served as the college’s newspaper until around 1919 when the newspaper became The Eastern. 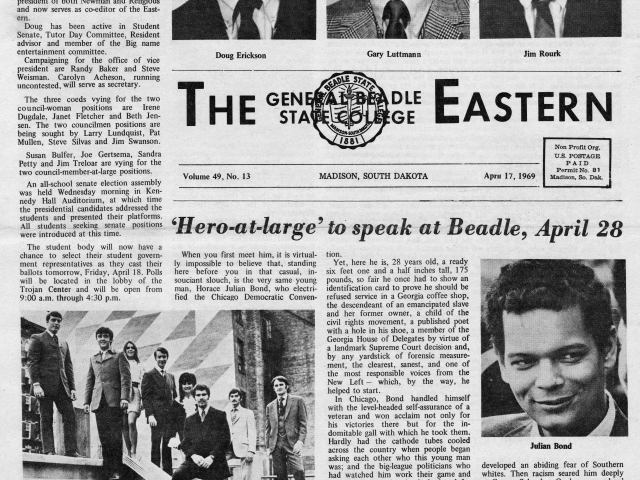 It was with The Eastern that the college’s newspaper began focusing on more in-depth stories, and it paid off—The Eastern was the longest consistently published newspaper in the history of Eastern State Teachers College, as it was then called. 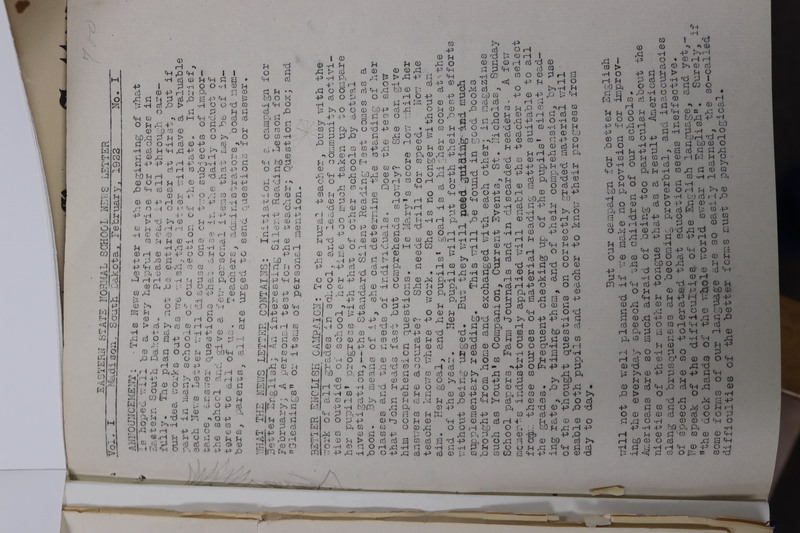 The Eastern State Normal School Newsletter was also published regularly at this time, seeking to provide a service for teachers in the area and to answer the questions of parents, administrators, and board members. 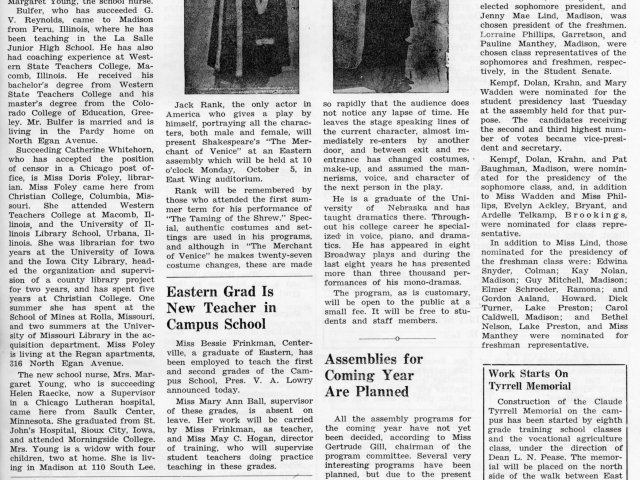 It was about 1995 when the newspaper changed names once more, this time to the Dakota Access shortly after the school itself was renamed again to Dakota State University. 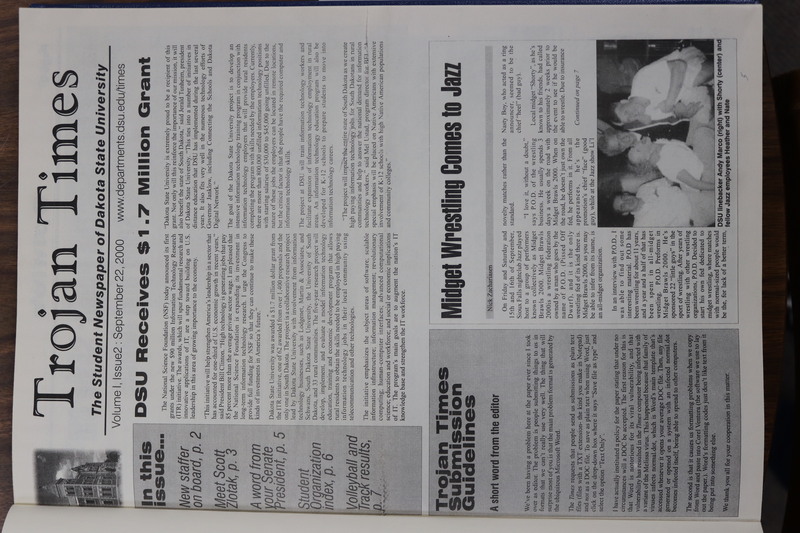 Finally, DSU’s newspaper became The Trojan Times in September 2000 where it was published frequently, even biweekly, until its transition to its current online format. 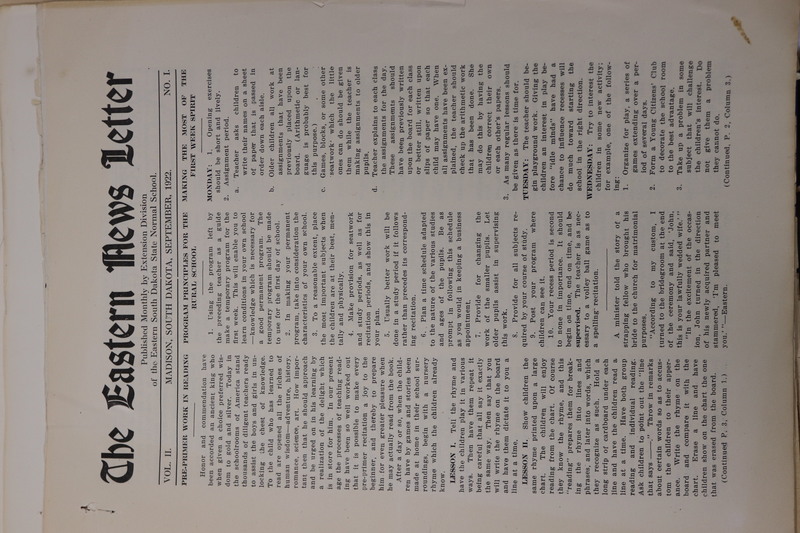 The Trojan Times’ return to print wouldn’t have been possible if it were not for the considerable support of The Madison Daily Leader and Hunter Publishing. 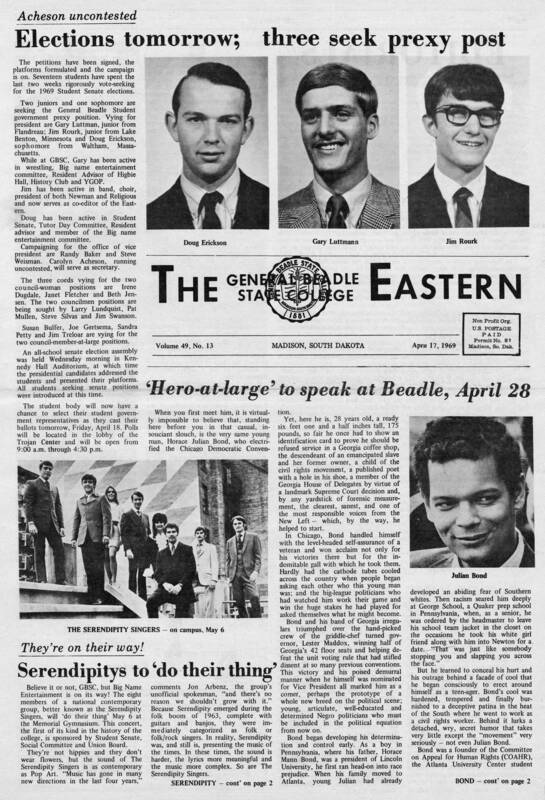 Not only were they the source of printing presses for the new physical editions of The Trojan Times, the businesses have long been supportive of DSU and its paper; in fact, they financed one of DSU’s earlier computer-publishing labs in Beadle Hall to develop the university’s presence, not only in publishing but technology as a whole. Martin herself has also been crucial in this venture as she’s been working regularly with the staff of the Daily Leader to make sure the new print edition and future editions are the best they can be. A second print edition will be released in the spring of 2019. After that, Blessinger says we’ll have to see. While the print edition has been very successful, it brings another challenge to the staff of the Trojan Times. “In order to keep a print version going, we need writers who write just for those, and then there’s content that’s shared between the two…. What we have to have is a viable product in both forms,” says Blessinger. Aiming to appeal to a wider audience than the online edition, The Trojan Times print editions will continue to have exclusive articles that will hopefully interest not only DSU students but also alumni and members of the community. 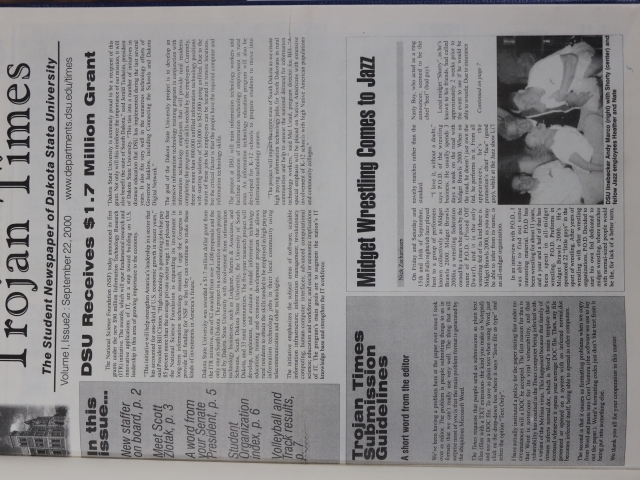 Budget and staff permitting, however, the print edition will be a lasting component of the DSU newspaper.